Maybe your refrigerator broke down, and you have to get a new one. Maybe you want to go on a trip to celebrate a special anniversary. Maybe you'd like to buy a wonderful graduation present for your favorite niece or nephew. There are many situations where you may find yourself short of cash to buy the items you want at the time you need to get them. Shopping loans may help you bridge that gap, increasing your purchasing power and providing a predictable plan for repayment. Whether you are starting out in your first home, replacing appliances that are no longer working, or upgrading to a model that better suits your current needs, appliances can take a big bite out of your budget. Appliance loans may help you get the refrigerator, stove, washer, dryer, dishwasher, or other appliance that you need. Good furniture can be expensive. But it's also an investment. The good news is that high-quality furniture should last a long time. 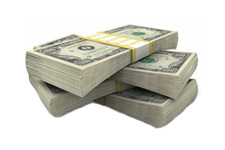 You may find it worthwhile to get a furniture loan to help you pay for this costly, but infrequent, shopping expense. Think you can't qualify for a shopping loan because your credit rating isn't the best? You might be surprised. Some lenders are happy to provide shopping loans to people with less than stellar credit ratings. You've got good credit? Congratulations! Lenders may offer low interest rate shopping loans because they know they can count on you to make your payments on time. Whether you travel every chance you get, or you are going on a once-in-a-lifetime trip that you have dreamed about for years, travel is one of life's peak experiences. It can also be expensive. A travel loan may be just what you need to set off on the path to adventure. Today's computers and electronic devices are both necessities and fascinating toys. An electronics or computer shopping loan may help you get the exact model that you want for your personal or small-business use. Whether you are buying a wedding ring, a special gift for someone you love, or a treat for yourself, jewelry brings joy and beauty into your life. A shopping loan may help you afford jewelry that you will treasure and can pass on to future generations. When you welcome a new pet into your life, it may come with a big price tag. A pet shopping loan may help you with the purchase price and other pet-related expenses. Sometimes you need to make a purchase when you don't have enough cash on hand. A shopping loan may help you spread out the payments to make the expense easier to manage. What is a Shopping Loan? A shopping loan is a personal loan you can use to make purchases in stores or online. These loans may help you extend your purchasing power by giving you the money you need at the time you need it and spreading out repayments in affordable installments. When Should I Get a Shopping Loan? A shopping loan can help when you are buying a big-ticket item, like a refrigerator, fine jewelry, or a new computer. If you don't have the cash to pay for the purchase in advance, a shopping loan will provide the funds and give you a convenient repayment schedule. A shopping loan may also be useful if you have an urgent unexpected expense and you don't have time to save up the money for the purchase price. Is It Hard to Get a Shopping Loan? The internet has made it easy to shop for a loan from the comfort of your home, any time of the day or night. 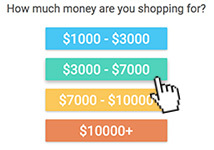 At Loanry.com, you'll find a simple interactive system where you just click on a few buttons and fill out a short form. And it's fast! You could have your money as soon as the next day. We invite you to take a look at our loan store and see how high tech has changed the way that people apply for loans.